Knowledge of how the brain works is growing every day as scientists are continuously learning more about the brain and how it functions. Over the past twenty years the scientific community’s knowledge has grown exponentially and some new developments have even disproven some of our earlier beliefs about the brain. Learn more about how the brain and senses function by reading the articles below and you will even discover the truth about some common myths about the brain. 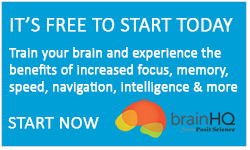 Start here for a detailed overview of the brain, including how information is transmitted. Learn about fun and interesting brain facts that are strange but true. For example, did you know that an octopus has no blind spots and that sounds are emitted from your ears? Discover the truth about common brain myths such as whether or not we truly use only 10% of our brains. 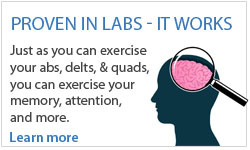 Watch revealing and fun brain fact videos to discover more about the brain. Make sure you share these interesting and informative videos with your family and friends. Are you a know-it-all when it comes to brain facts? Put your knowledge about the brain to the test and try finishing this crossword! Download this brain-themed crossword puzzle today. Did you know that hearing sounds happens in the ears AND the brain? Learn more about how your brain turns sound vibrations into meaningful language that you can understand. Did you know that the brain and eyes are equal partners that help you see? Discover how your eyes take in information and how your brain interprets it so that it makes sense. Some people say that the most important organ for love is the brain and not the heart. Is this true? Discover this and more from the interesting research on the neuroscience of love that might surprise you. Are brain functions affected by menopause? Find out what might be behind the cognitive changes that some women experience during menopause. Discover more about an unexpected side effect from chemotherapy: memory loss. 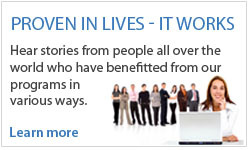 Hear from cancer survivors who faced this as a result of their cancer treatments.